The India Golf Awards, presented for the second time in February 2015, has named the Nicklaus Design layout at Kalhaar Blues & Greens the Best Golf Course of India for 2015. The unique initiative recognizes the country’s best golf courses; celebrities and bureaucrats who play the game; top women and juniors; and other industry businesses. 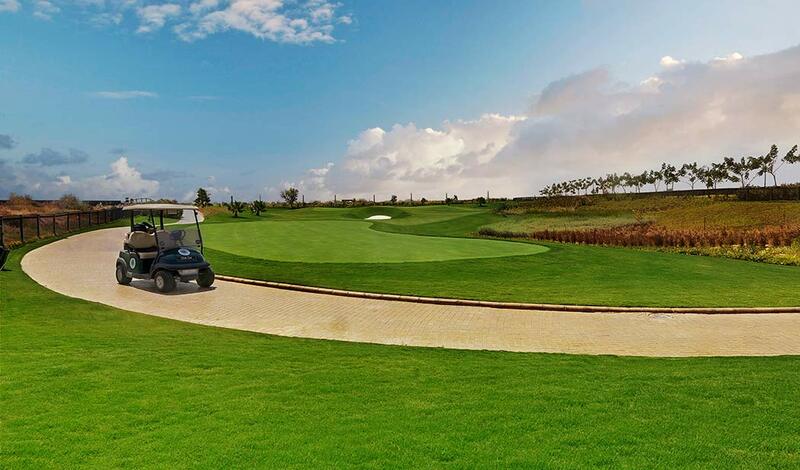 Kalhaar Blues & Greens opened for play in 2012 in Ahmedabad to become Nicklaus Design’s second golf course in India. The idyllic golf course is a world-class, 18-hole, par-72 layout. Developed by the Navratna Group, the course complies with the United States Golf Association (USGA) specifications as well as the exacting standards of Nicklaus Design, making it one of the most exclusive and prestigious golf courses in the country. The course is spread over 175 acres and plays to 7,425 yards from the championship tees, making it one of the longest golf courses in India. The layout offers unique challenges and aesthetics, such as sand and beach bunkers, and 14 bodies of water that cover over 35 acres. In addition, the course features a scenic island green on Hole No. 7. The Kalhaar Blues & Greens campus includes a Golf Academy with a practice range, as well as chipping and putting areas, and putting greens that cater to beginning, amateur and professional golfers. Last year, the first-ever India Golf Awards set new benchmarks and created pathways to bring about positive change to promote golf in a rapidly changing business, leisure and recreational environment—bracing the country for the growth of the game in the still-emerging golf market.